View cart “UGLI® Solar Oven Hybrid” has been added to your cart. 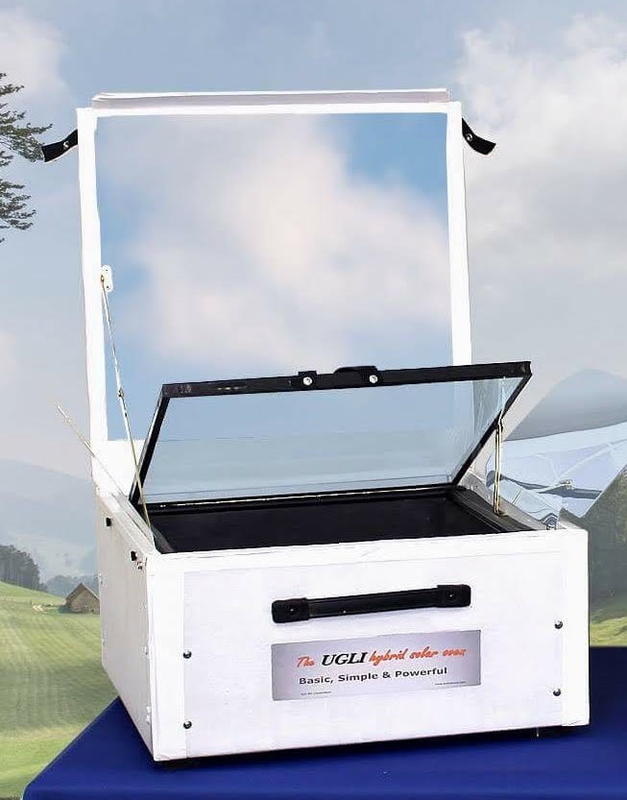 UGLI® ovens offer superior cooking performance, quality workmanship and one of the largest cooking capacities of any other solar oven on the market today… Made in the U.S.A. 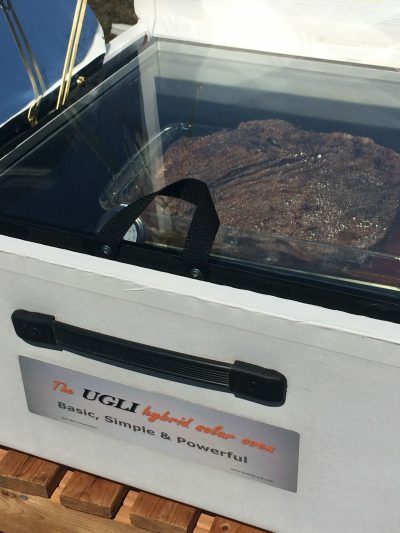 The UGLI® hybrid oven is an outdoor cooking machine! Should you have any questions about these new and exciting products email us. Camping away from home or in your own backyard. You can count on the Ugli hybrid. 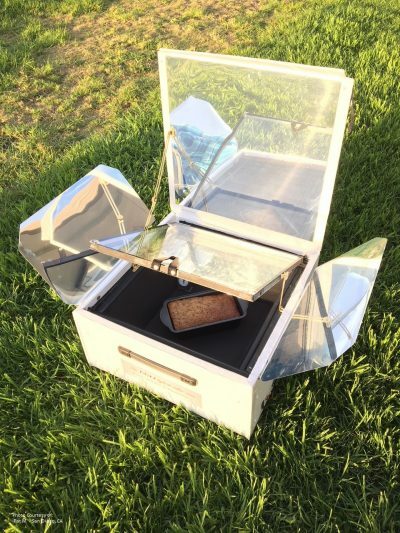 It’s designed to be a cooking machine! 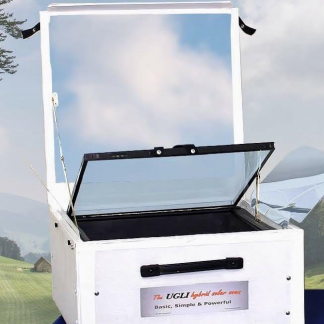 Reliable, Convenient, Outdoor cooking machine! 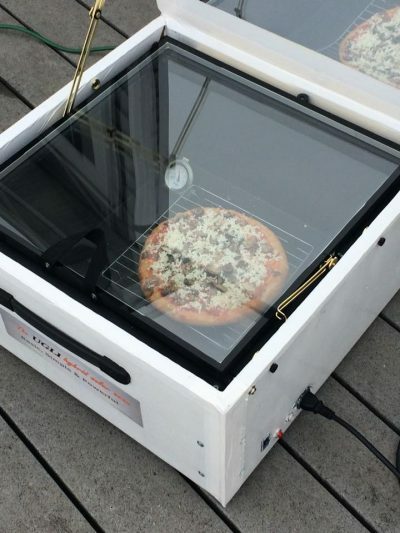 Keep you electric bills lower and your home cooler… Use the SunFocus as your “summer kitchen” oven. 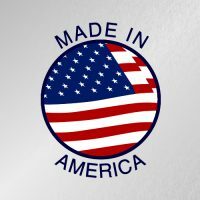 Uses more environmentally friendly solar and electric energy vs. burning “traditional” fuels like wood, propane, or even charcoal. Bakes the widest variety of foods from cakes, pies, cookies to chicken, roasts, and breads. No real effort on your part… as easy as opening up a suitcase. 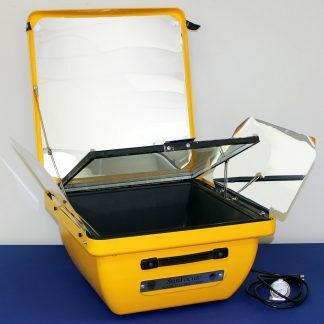 Aluminum alloy cooking chamber pan. External dimensions 22 x 22 x 12 in. Go MODERN / Go with a HYBRID !!! 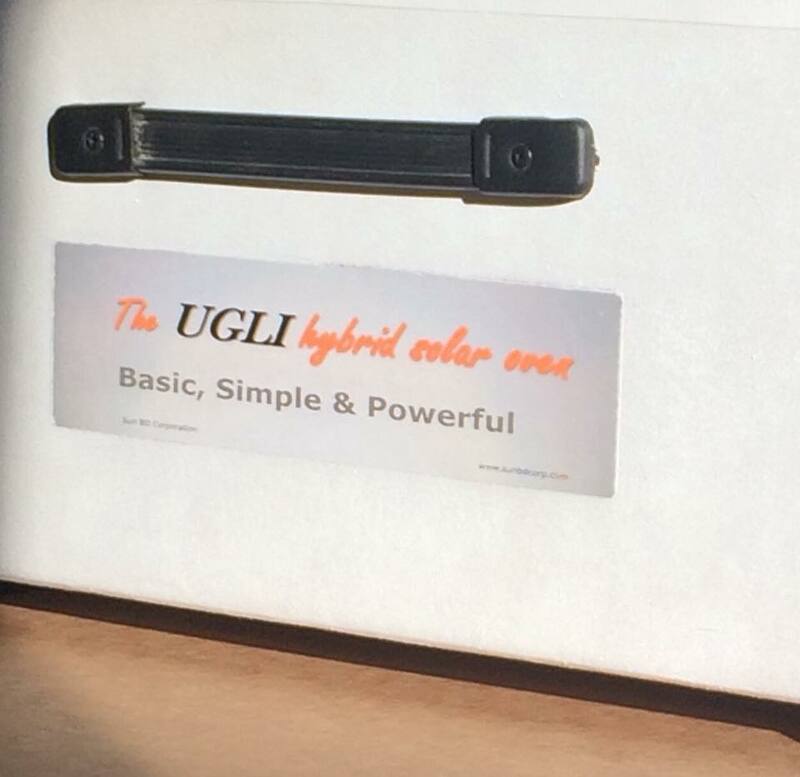 “NO WORRY” case guarantee* for any reason simply return your Ugli Hybrid back to us freight prepaid.